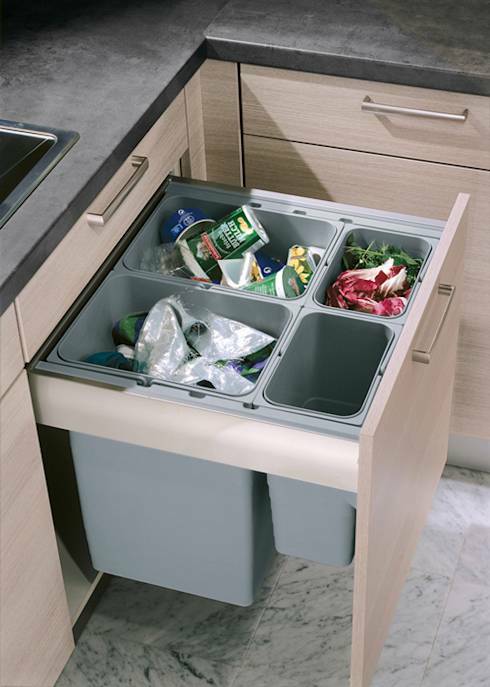 Whether you have a small kitchen or large kitchen – organization becomes a top priority. 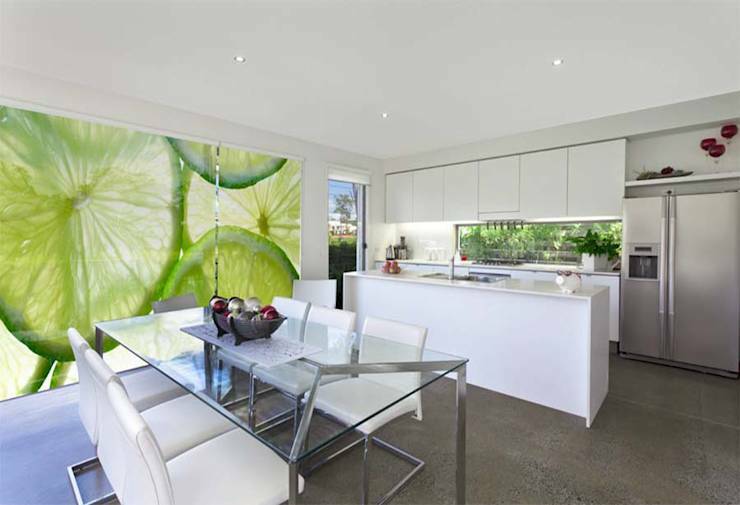 Here are a few inspirational ideas to get your kitchen clutter free. 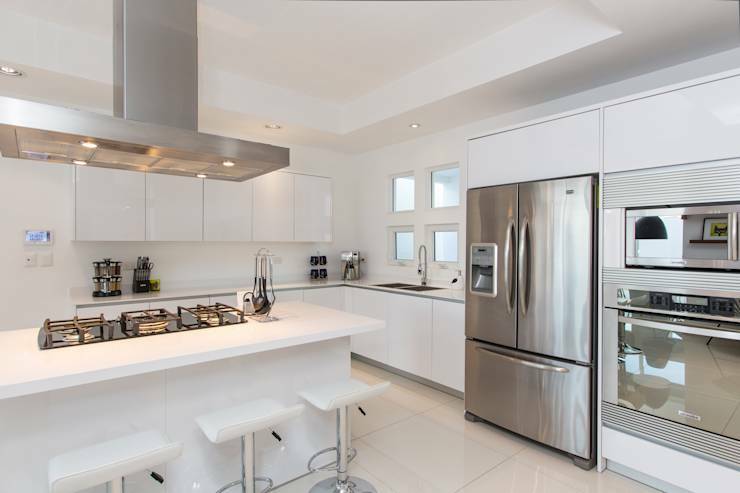 Before even starting with the organisation process, it’s important to have a clear idea of where all of your kitchen equipment, cutlery, and pots and pans will go. 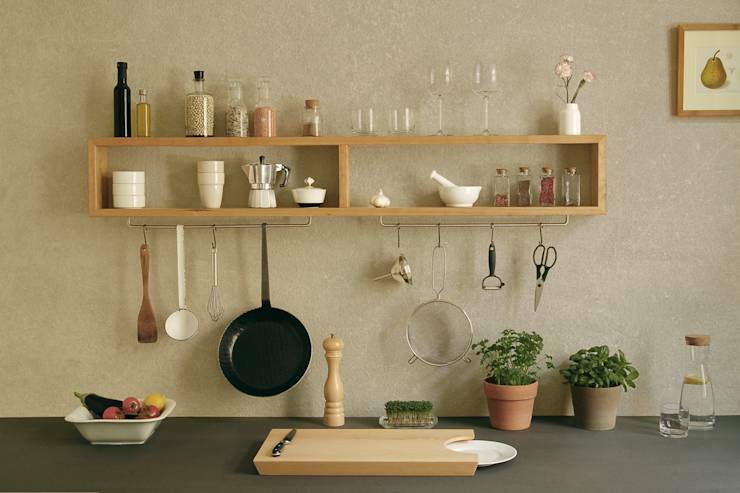 Once everything has its own place in your kitchen, you’ll never have to worry about squeezing your kitchenware into any crevice you can find. As a result, you’ll have a cleaner and easier-to-navigate space. Cables are notorious eyesores that simply get in the way of things, and the kitchen is certainly no place to have cords strung around. Hide your cables either behind your kitchen equipment, or invest in a neat little contraption like this one here. 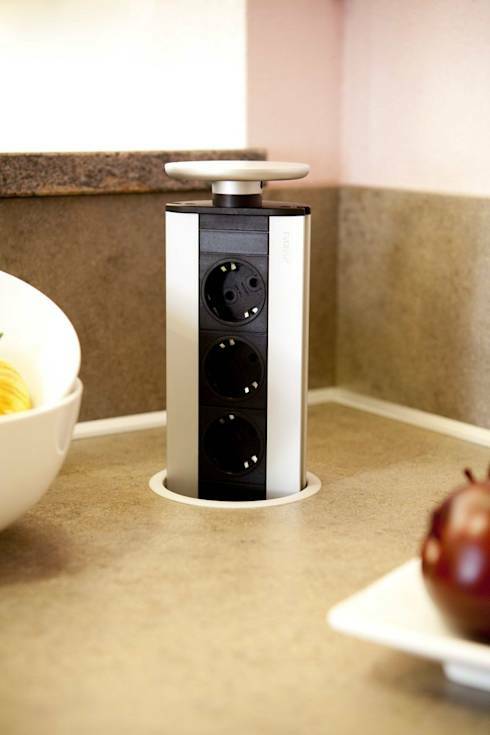 With the push of a button, your power cords will hide into the counter. 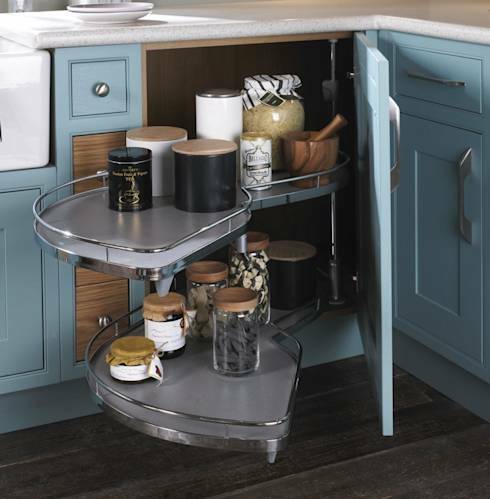 When cupboard space is an issue, consider installing open shelving. They’re great for easy access to your spices or cooking utensils, and they’re up and out of the way and off the counter, saving you space for cooking. Now these little beauties are really worth investing in. 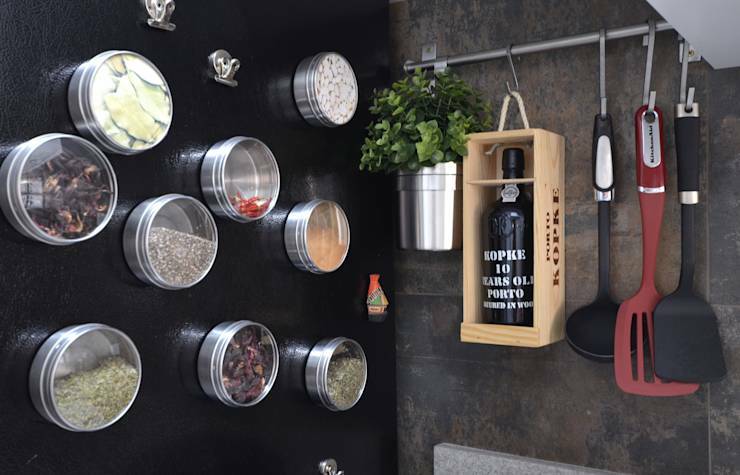 With retrofit cupboards, you can organise your non-perishables, spices, pasta… anything you can imagine in one convenient, fold-in space. The best part about these kinds of cupboards is that the platform where your food is stored comes right out so you can see each item you have stored without sifting through containers. When you have a drawer that is designated for one thing and one thing only, you’ll save so much time when searching for your cookware. 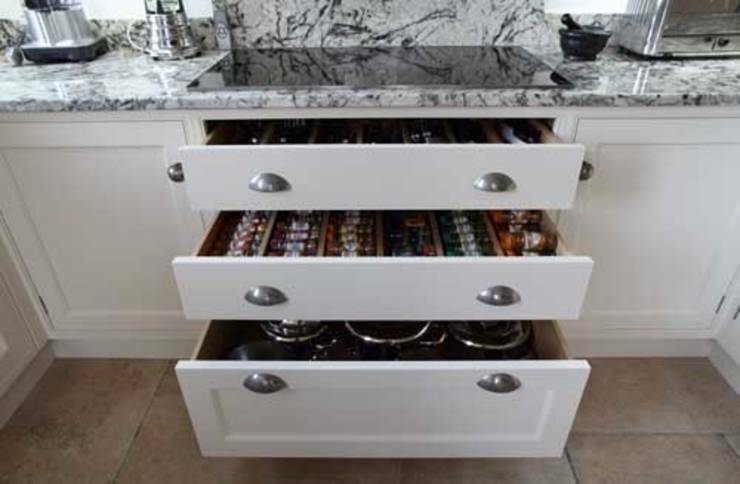 You can even store spices in drawers as another spice organisation trick. Splitting up your trash into plastic, paper, organic, and everything else will not only help the environment, but it will also help keep you organised and keep the trash from looking unsightly. 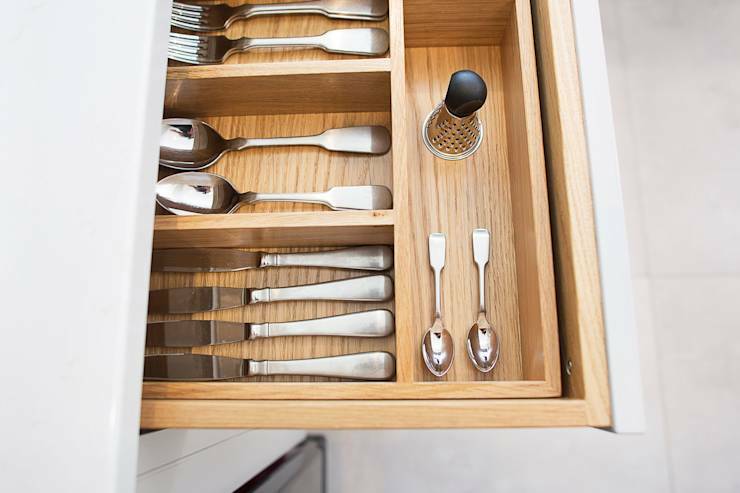 Cutlery drawers with no organisation are a big pet peeve of ours, because it’s so easy to avoid just throwing all your silverware into one compartment. Buying a simple divider like the one you see here will keep things neat and looking good. 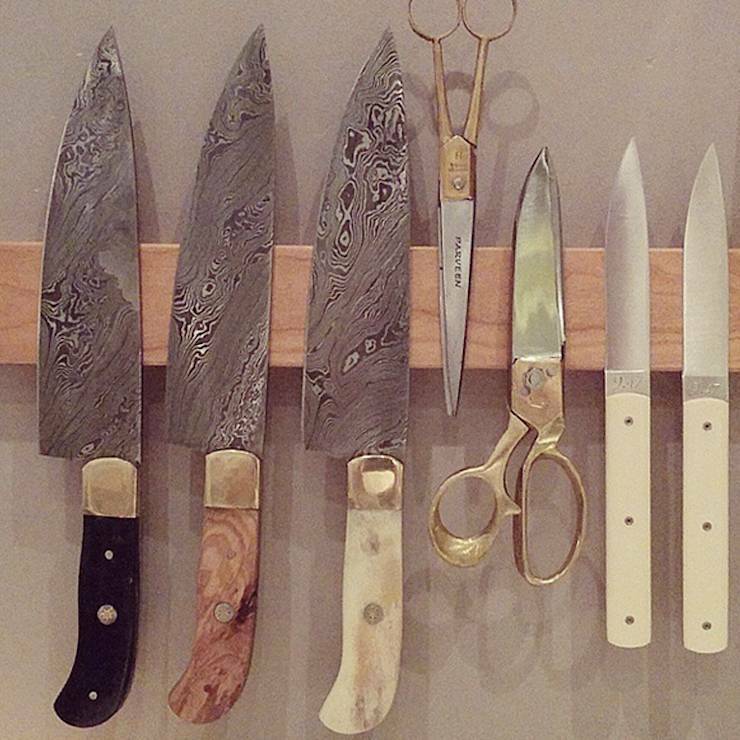 Magnetic strips are really handy for storing things like knives and scissors. They’re out of the way, and maybe more importantly, your little one can’t reach that high up on the wall to get them. 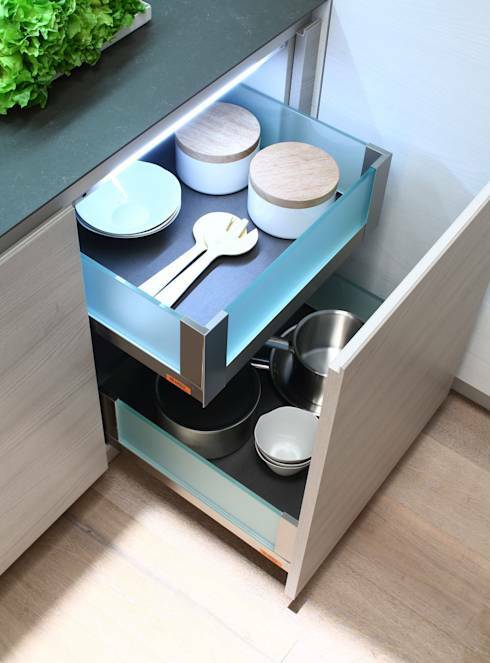 We’ve all had to dig through dark drawers to find what we need to cook, but with added lighting installed, you can have a brightly lit drawer that lights up every time you open it. Containers keep everything separated. Cute containers do the same job, but with added pizzazz. You can be organised and stylish when you get cute little magnetic containers like these. 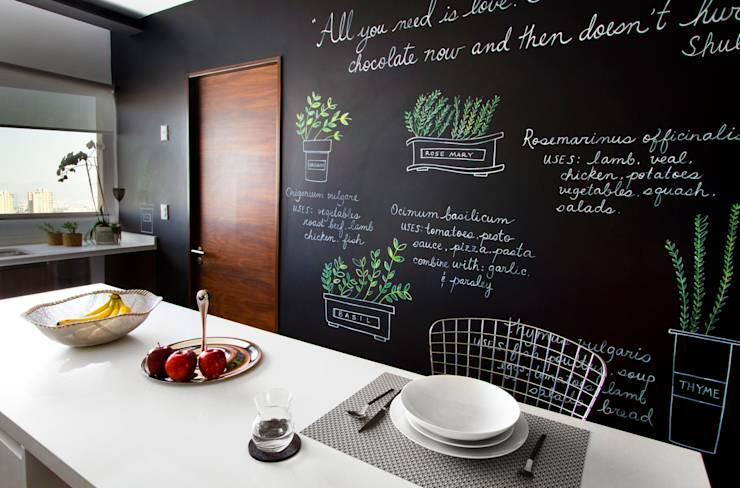 This blackboard in the kitchen is a great way for everyone in the family to communicate what they want for dinner, or just share their favourite recipe. You’ll never forget that shopping list with this innovative design. Things on the counter, things on the table, things on the floor… you simply can’t have junk lying around all over the place and expect to be organised. Declutter your home by getting rid of every unnecessary item you have. You may find you’ve been hoarding things you haven’t used in ages.